On Wednesday Software giants 'Microsoft' had announced the consumer preview of Windows 10 , and now finally available for download. Users awaiting for long time for the final release of Windows 10, which is one of the best Windows version till yet - company says. We have already mentioned that Windows 10 will have Cortana virtual assistant and operating system will have new Spartan web browser. Windows 10 will also have improved Start Menu which will have two mode, simple and Expand. Moreover Windows 10 will have improved setting panel, Windows stores app and it will also have new Xbox app . As Microsoft have announced that Windows 7, 8 and 8.1 users will get free upgrade to Windows 10, so existing windows users just need to to run the Update. Other than this you can also download ISO file of Windows 10 from the site. Currently only desktop version of the operating system is available, and as Microsoft had also announced Windows 10 for phones and tablets, so it will be available from early February. 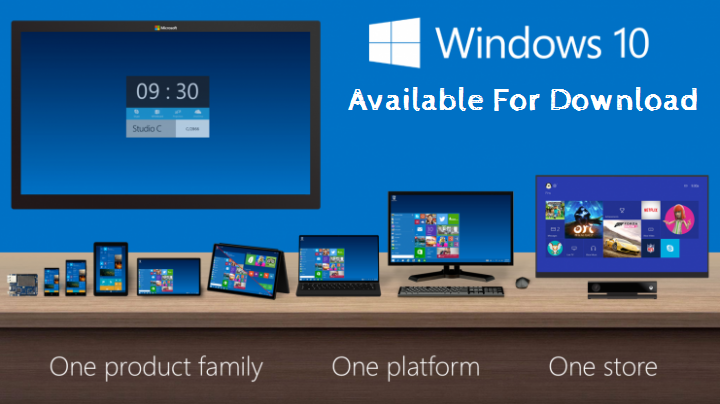 If you want to check out what new things that Windows 10 will have then you can check the Windows 10 features page.